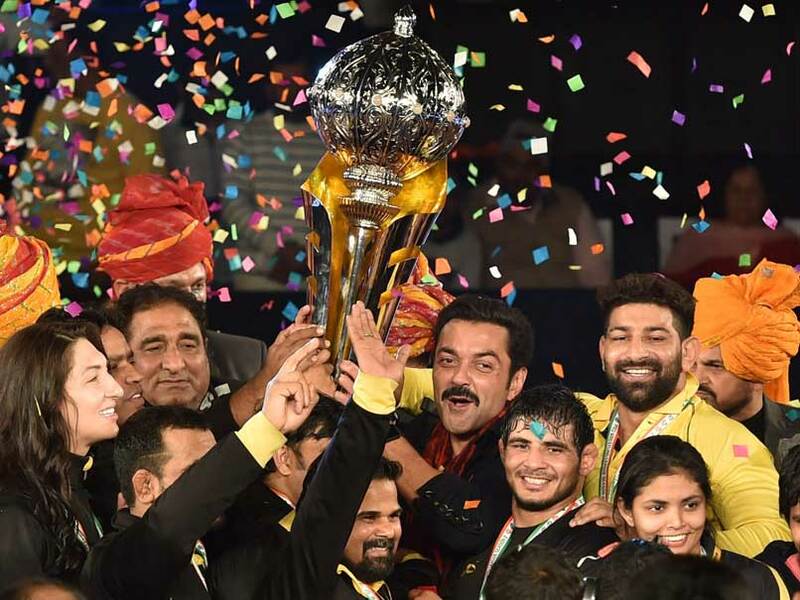 It all went down to the wire before Jitendra thrashed Sumit Sehrawat in the decider which enabled Punjab Royals bag the Pro Wrestling League season 2 title by prevailing 5-4 over Haryana Hammers in a keenly contested summit clash in New Delhi on Thursday. Haryana, who remained undefeated so far in the tournament, failed to cross the last hurdle, even as Punjab reigned supreme with their foreign imports Vladimir Khinchegashvili, Vasilisa Marzaliuk and Ilias Bekbukatov, besides India's Nirmla and Jitendra doing the damage in the crucial ties of the day. The encounter of the evening was the fight between two stalwarts -- Sofia Mattsson of Haryana and Odunayo Folasade Adekuoroye of Punjab - in which the former prevailed by a solitary point to win it 4-3 in women's 53kg but that could give Haryana the trophy. Odunayo lost her first bout in the history of the Pro Wrestling League in a keenly-fought match. With determination and resolve, Rio Olympics bronze medallist Sofia kept her nerves to eke out a narrow win over the strong Nigerian wrestler. But Punjab scored the equaliser 4-4 through Nirmla Devi, who beat Indu Chaudhary 5-2 in women's 48kg to take it to the last match the decising tie. As it came down to the last encounter , it was expectedly a neck-and-neck battle between Sumit and Jitendra in men's 74kg but Punjab's Jitendra made it a one-sided affair as he maintained a healthy lead throughout the bout, and ultimately claimed it easily with a 10-1 victory. Earlier, Haryana's Abdusalam Gadisov set the tone for the evening, making his and his team's intentions clear from the very beginning. 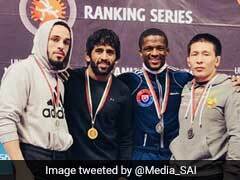 Gadisov showed ominous signs, taking down Punjab's Krishan Kumar and rolling him over before stepping up his game further to finish off the bout in 2 minutes and 26 seconds in men's 97kg category. Attacking aggressively. a sight uncharacteristic in heavyweight wrestling, Gadisov won 15-0 via technical superiority. 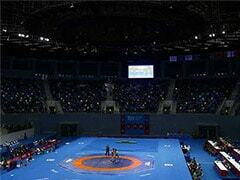 Marwa Amri stamped her authority on the mat, overpowering Punjab's Manju Kumari 12-0 in the 58 kg Women's category. Rio Olympics bronze medallist from Tunisia overwhelmed her rival by sheer experience and pedigree and made short work of the Indian to give Haryana a 2-0 lead. Punjab Captain and 2016 Olympics Gold medalist Vladimir Khinchegashvili avenged his group stage defeat to Sandeep Tomar by getting the better of the Indian 0-3 in men's 57kg and gave Punjab their first points of the evening. 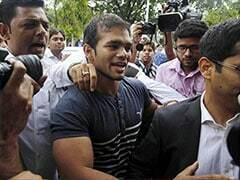 Vladimir displayed exemplary defence in a both the rounds and took Sandeep by surprise in the first round with a takedown. Sandeep retaliated by attempting to push Khicnhegashvili out of the protected zone, but was out-muscled by the Georgian grappler. Magomed Kurbanaliev, World Championship gold medallist, however extended Haryana's lead by thrashing Pankaj Rana 9-4 in men's 70kg. Kurbanaliev employed the single leg hold to good effect, taking down Pankaj repeatedly to coast to a commanding victory in the end. One firm takedown that resulted in a Pin Fall almost handed him the win in 5 seconds of the tie but since he did it out the mat, so the move was over-ruled. But eventually the Russian bagged the bout pretty easily. Vasilisa Marzaliuk and Ilias Bekbukatov then won back-to-back bouts for Punjab rather comfortably to tie the match 3-3. Haryana's Kiran had her task cut out against the experienced Vasilisa, who opened her account by pushing the Indian out of the mat before taking her down, to lead 3-0 at the break. In the second round also, Vasilisa managed to take down the Indian once to win it 5-0 in women's 75kg. Haryana's Rajneesh faced an uphill task as his more accomplished opponent, Bekbukatov effected takedowns and rolled him over and over again in the first 57 seconds of the tie to clinch the bout 13-0 in men's 65kg. Rajneesh also got injured in the process.